Tito Rendas has just posted his terrific paper, “Mind Sciences in the Harvard Law School Curriculum: Tracing the History, Proposing the Proliferation” on SSRN. We hope to post excerpts from the paper in time. Here’s the abstract. This paper explores the contours of the relationship between the mind sciences and the Harvard Law School curriculum, in particular, and the law curriculum more generally. Rather than using a conceptual definition of “mind sciences”, the paper will be based on an illustrative and fairly loose definition thereof. Any discipline that delves into the mechanisms that explain the functioning of the human mind and the reasons behind human behavior is considered a mind science for purposes of this study. Psychology, psychiatry, cognitive science, and neuroscience are examples of the disciplines that fit under the scope of this definition. The paper is divided into three parts. 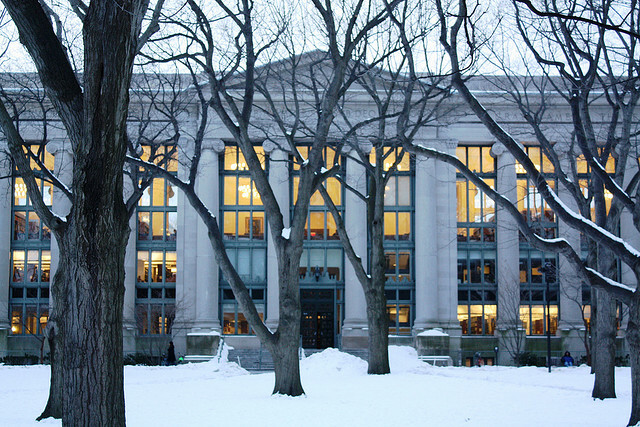 Part I discusses the ideological sources of the relatively recent law and mind sciences movement at Harvard. Particular consideration will be given to the role played by the legal realists in questioning assumptions that would otherwise prevent the mind sciences from permeating law and policy-making. Part II conducts an extensive historical review of the law and mind sciences courses in the HLS curriculum from 1957 to 2013. Six trends, and a predicted future trend, were identified. Part III is normative in its essence, making the case for the expansion of the law and mind sciences curriculum. This argument is predicated on the answers to two other questions: Who should decide whether this expansion should be carried out? And, assuming its desirability, how should we go about it? – responsible for setting the vision and agenda of the organization, for delegating responsibilities to the SALMS officers and Board, and for collaborating with the Vice President to manage the daily operations of the organization (including managing logistics of Speakers Series events). – responsible for managing the SALMS budget and collaborating with the president to manage the daily operations of the organization (including managing logistics of Speakers Series events). – responsible for organizing and overseeing the selection process for the SALMS Speakers Series, as well as managing invitations and coordinating with speakers. – responsible for updating and running the SALMS website and blog and maintaining the SALMS email list. 1Ls interested in serving in these positions should email dkorn[at]jd13.law.harvard.edu to schedule a meeting (please include a copy of your resume, though no prior mind science background is required). 2. SPRING ORGANIZATIONAL MEETING: At noon on Friday, January 27, 2012, in Hauser 101, the SALMS Board will meet to discuss the upcoming semester. In addition to dividing up responsibilities for the spring, we will look ahead to our scheduled Speakers Series events. 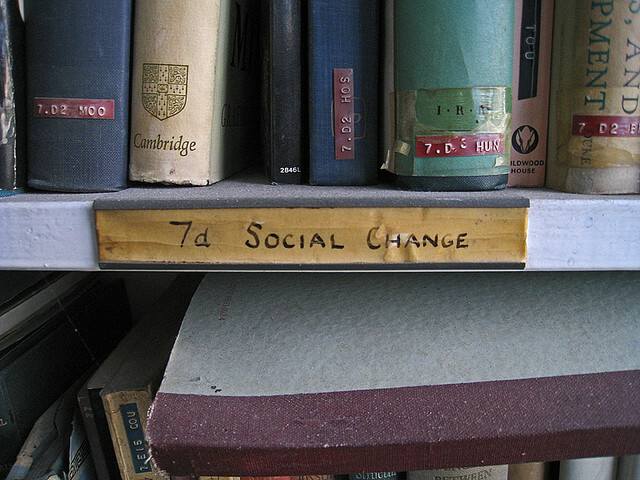 Torts and Social Change – Today! Interested in hearing more about how the 1L curriculum relates to social justice issues and how it could be applied to social justice work? Please join us as Professor Martha Chamallas and Professor Jon Hanson deliver an insightful presentation on Torts and Social Change, the second in our exciting new speaker series designed to give 1L students (and interested 2Ls and 3Ls as well!) the opportunity to hear their professors discuss how the subjects they teach are relevant in creating positive social change. 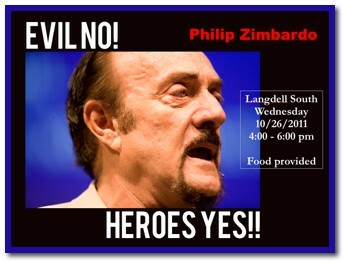 Last week, Phil Zimbardo delivered another remarkable lecture at Harvard Law School — this time tracing his journey from studying evil to inspiring heroism. We hope to post that video in several weeks. For his introduction, Situationist Editor Jon Hanson assembled this short video comparing Professor Zimbardo’s Prison Experiment and Professor Kingsfield’s Harvard Law School (The Paper Chase), both of which reached their 40th anniversary this year. Professor Jon Hanson, the Alfred Smart Professor of Law, is this year’s winner of the prestigious Albert M. Sacks-Paul A. Freund Award for Teaching Excellence, an honor bestowed each spring by the Harvard Law School graduating class. The award recognizes teaching ability, attentiveness to student concerns and general contributions to student life at the law school. This is the second time Hanson has received the recognition. He won the Sacks-Freund award in 1999, and he was a finalist in 2000 and again in 2006. There is a burgeoning awareness that access to health care is an equality issue. With inadequate resources to access basic health services, women around the globe are impaired from functioning at the highest level. At the same time, health disparities perpetuate other disparities, leaving women who lack these resources behind their counterparts elsewhere. Women’s reproductive health needs make this question all the more stark. Our panel brings together leading experts in legal and nonlegal fields, who have a holistic perspective on health that grounds legal answers in community-based approaches. Economic inequality influences people’s choices and shapes their worldviews. As such, it is necessary to continually interrogate the changing role of women in the economy. This panel brings together women who have broken through social and cultural barriers to begin to equalize economic environments. Coming from different fields in the public and private sector, each panelist has a unique perspective on what it means to equalize the workplace, as well as the broader economy. Women represent a rapidly rising percentage of litigators and judges. However, courtrooms remain one of the least gender-balanced arenas. In this panel, we have brought together leading judges and litigators who have been experience in breaking through inequality on both sides of the bench. We hope that a conversation between litigators and judges will lead to a broad and fruitful discussion about what it means to be a woman in the courtroom, and how we can work to build off of their foundational work to eliminate gender discrimination in courtroom settings. When envisioning the future we want to see, it is imperative to think about how the next generation of women will be educated and nurtured. Continual efforts to eliminate gender discrimination in the schools and on the streets for girls around the world represent the best chance to positively affect the change we wish to see. Our girls panel brings together the women who are doing exactly this: influencing the lives of young women around the globe through legal, social, economic, and cultural means. On Tuesday, September 28th, the HLS Student Association for Law and Mind Sciences (SALMS) is hosting a talk by Tufts professor Daniel Dennett entitled Free Will, Responsibility, and the Brain. Professor Dennett is the Austin B. Fletcher Professor of Philosophy at Tufts University, as well as the co-director for the school’s Center for Cognitive Studies. His work examines the intersection of philosophy and cognitive science in relation to religion, biology, science, and the human mind. 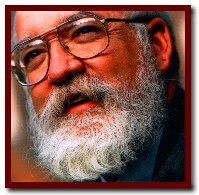 Professor Dennett has also contributed greatly to the fields of evolutionary theory and psychology. Professor Dennett will turn a critical eye on the recent influx of work regarding the impact of neuroscience on scholarly concepts of moral and legal responsibility. 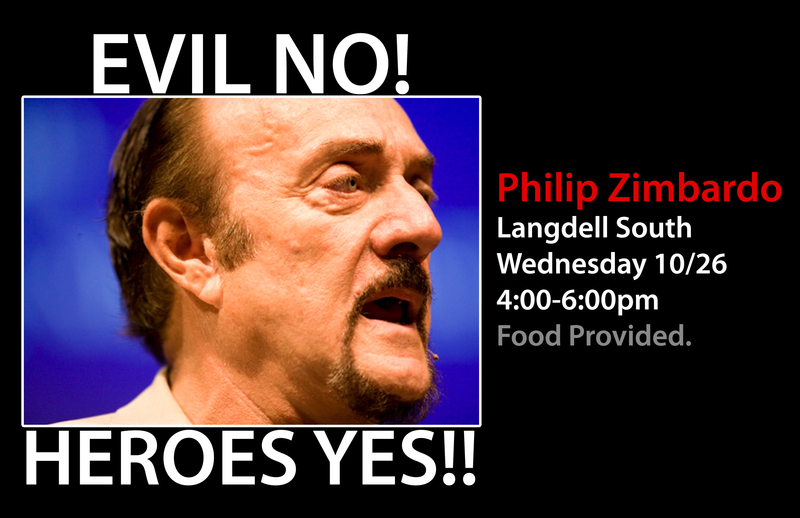 He will be speaking in Pound 101 from 12:00 – 1:00 p.m. Free burritos will be provided! 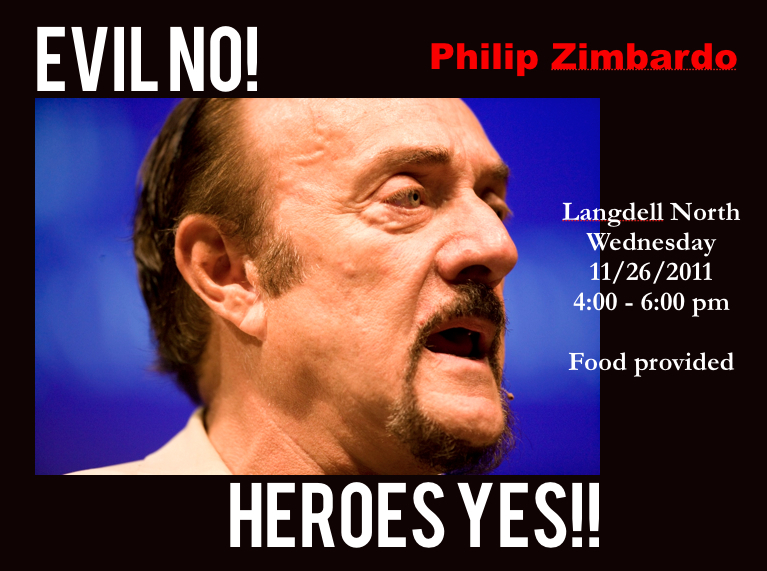 For more information, e-mail salms@law.harvard.edu. 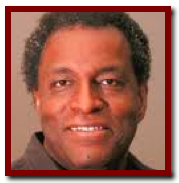 Professor Sidanius, a Harvard University professor in the departments of Psychology and African and African American Studies, focuses his research on the political psychology of gender, group conflict, and institutional discrimination, as well as the evolutionary psychology of intergroup prejudice. He runs the Sidanius Lab in Intergroup Relations, which conducts research regarding intergroup relations, social inequality, hierarchy, stereotyping, ideology, and prejudice. Professor Sidanius will be speaking about ways in which the legal system has been, and continues to be, used as a means to effectuate intergroup violence, particularly through the criminal justice system. Professor Sidanius will be speaking in Pound 100 from 12:00 – 1:00 p.m.. Free burritos will be provided! In today’s New York Times, Sheryl Gay Stolberg, Katharine Q. Seelye and Lisa W. Foderaro have an illuminating biography of Supreme Court Nominee (and Situationist friend and supporter) Elena Kagan. Here are the opening paragraphs of that story. She was a creature of Manhattan’s liberal, intellectual Upper West Side — a smart, witty girl who was bold enough at 13 to challenge her family’s rabbi over her bat mitzvah, cocky (or perhaps prescient) enough at 17 to pose for her high school yearbook in a judge’s robe with a gavel and a quotation from Felix Frankfurter, the Supreme Court justice, underneath. She was the razor-sharp newspaper editor and history major at Princeton who examined American socialism, and the Supreme Court clerk for a legal giant, Thurgood Marshall, who nicknamed her “Shorty.” She was the reformed teenage smoker who confessed to the occasional cigar as she fought Big Tobacco for the Clinton administration, and the literature lover who reread Jane Austen’s “Pride and Prejudice” every year. She was the opera-loving, poker-playing, glass-ceiling-shattering first woman to be dean of Harvard Law School, where she reached out to conservatives (she once held a dinner to honor Supreme Court Justice Antonin Scalia) and healed bitter rifts on the faculty with gestures as simple as offering professors free lunch, just to get them talking. 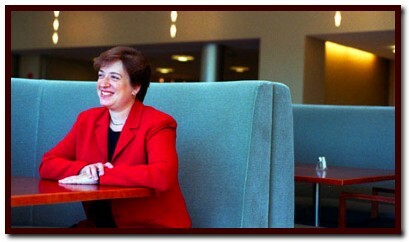 Elena Kagan has been all of these things, charting a careful and, some might say, calculated path — never revealing too much of herself, never going too far out on a political limb — that has led her to the spot she occupies today: the first female solicitor general of the United States, who won confirmation with the support of some important Republicans, and now, at 50, President Obama’s nominee for the United States Supreme Court. The entire story is here. Congratulations to Elena. On Thursday, March 11th, the HLS Student Association for Law and Mind Sciences (SALMS) is hosting a talk by Harvard psychology professor Mahzarin Banaji entitled “Mind Bugs and the Science of Ordinary Bias.” Here’s the description. How deep are the bounds on human thinking and feeling and how do they shape social judgment? 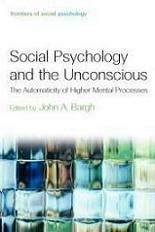 Our focus has been on the mechanics of unconscious mental processes, with attention to those that operate without conscious awareness, intention, or control. Most recently, we have worked with a task that reveals unconscious preferences in a rather blunt manner, showing that they can sit, at one level, in contradiction with consciously endorsed preferences. We use the tool largely for theory testing, focusing on questions about the nature of implicit social cognition and its measurement. The research tool, in vastly simplified form, is also available to the public at a demonstration website (implicit.harvard.edu), offering estimates of automatic preferences toward social groups, political candidates, and academic orientation (e.g., math/science). From such study of attitudes and beliefs of adults and children, I ask about the social and moral consequences of unintended thought and feeling. My work relies on cognitive/affective behavioral measures and neuroimaging (fMRI) with which I explore the implications for theories of individual responsibility and social justice. 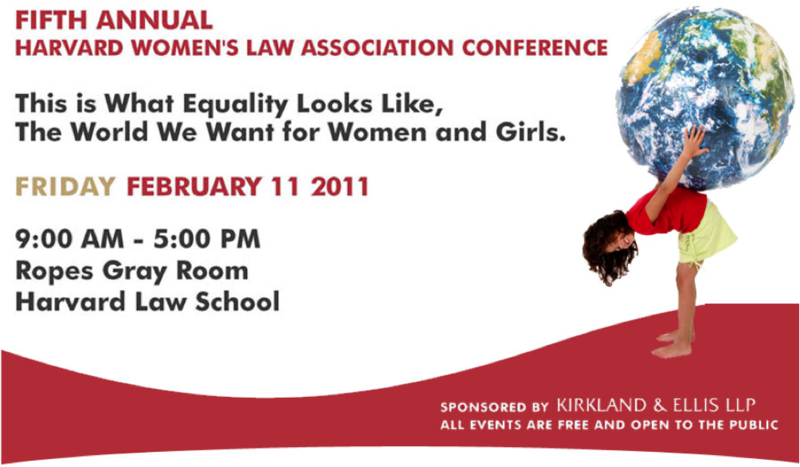 The event will take place in Pound 107 at Harvard Law School, from 12:00 – 1:00 p.m. Free Burritos! For more information, e-mail salms@law.harvard.edu. For a sample of Situationist discussing Professor Banaji’s scholarship, click here. For the Harvard Law Record, Harvard Law Students, Anush Emelianova and Gustavo Ribeiro, wrote a nice summary of Dan Gilbert‘s recent lecture at Harvard Law School. 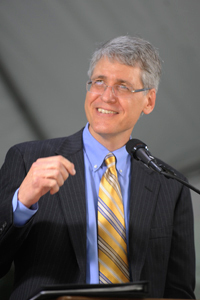 His lecture, titled “Why Does the Brain Scare Itself?,” drew a crowd of roughly 150 students and contributed to Gilbert’s reputation as an amazing and captivating speaker. Here’s Emilianova and Ribeiro’s description. Why does the brain scare itself? On Monday, October 19, Professor Dan Gilbert confronted this question in an event sponsored by first-year Section VI. Professor Gilbert, who wrote the bestselling book Stumbling on Happiness, is a Professor of Psychology at Harvard University and the Director of Harvard’s Hedonic Psychology Laboratory. He opened his remarks by stating that the power of the mind to automatically make predictions by simulating outcomes is the key feature that distinguishes humans from other animals. Because the brain is made up of semi-independent systems, it can talk to itself or even “scare itself.” But Prof. Gilbert believes that the limited mental capacities of humans impose limits on the accuracy of predictions about the emotional impact of future events. He demonstrated this by identifying four limitations of the brain’s ability to simulate the future: unrepresentativeness, essentialization, truncation, and presentism. According to Prof. Gilbert, humans’ mental simulations are unrepresentatively based on the individual’s best or worst memories, failing to correspond to the average experience. When the mind produces imaginary scenarios, the images tend to be essentialized, that is, distilled to a simplified image with the details cut out. Remembered experiences also interfere with accurate prediction because they are truncated and fail to incorporate the ability to adapt to different situations over time. Furthermore, Prof. Gilbert believes the human mind has a “presentist” bias, accepting in most circumstances the fiction that tomorrow will be exactly like today and that the feelings at the moment of making a decision will persist until the outcome of that decision arises. As an example, Professor Gilbert demonstrated a photograph of a 16-year-old who had tattooed Pac-Man on her head, suggesting that the excitement of the moment would eventually give way to regret. Professor Gilbert does not believe humans have the capacity to systematically prevent errors in mental simulations. “As I marinate you in the bloopers and foibles, the mistakes and biases of the human mind, you must be thinking, is there anything we can do about this? I’m happy to tell you the answer is no,” he said. Despite the failure of predictions to account for dynamic circumstances, humans tend to adapt or rationalize outcomes to make themselves feel better. 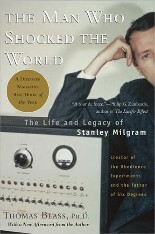 Prof. Gilbert illustrated this tendency with the satisfied attitude of Pete Best, the original drummer for the Beatles. Despite missing out on being part of one of the most successful bands ever, Best said in a 1994 interview that, “I’m happier than I would have been with the Beatles.” Professor Gilbert argued that this was a striking example of rationalization. Prof. Gilbert also indicated that there may be techniques available to minimize some types of cognitive error. “Surrogation,” or asking others about their experience of a similar situation, can act as a more reliable guide than one’s own expectations. In fact, according to Prof. Gilbert, any random person’s actual experience of a given situation is likely to be much more predictive of our future enjoyment than our imaginary simulation of that same experience. Here is Anthony Kammer’s fine article, titled “Meeting of the Minds: Law Students Flock to Psychology Lectures,” in the latest edition of The Harvard Law Record. As this article went to press, SALMS was planning further events, including an October 22nd, discussion by [Situationist Fellow] Goutam Jois ’07 entitled “Stare Decisis is Cognitive Error”. Founded in the late spring of 2009, The Student Association for Law & Mind Sciences (SALMS) is the outgrowth of Professor [& Situationist Contributor] Jon Hanson’s Ideology, Psychology and Law seminar course as well as his Project on Law and Mind Sciences. SALMS is the first student group at any law school merging law and mind and sciences and is already working with students at other law schools to create similar organizations around the country. Its speaker series is intended to both introduce the legal community to relevant work in psychology and the related mind-sciences and to encourage mind scientists to explore the implications of their work for law and policy-making. On Tuesday, September 8, the HLS Student Association for Law and Mind Sciences (SALMS) is hosting a talk by Professor Daniel Wegner on “Psychological Studies of the Guilty Mind.” The event will take place in Pound 108 at Harvard Law School, from 12:00 – 1:00 p.m. (and lunch will be served – first come, first served). SALMS is a student organization working in conjunction with the Project on Law and Mind Sciences to bring to legal academia (in this case, specifically, the Harvard Law School community) the ground-breaking mind sciences research that has profound implications for law and legal theory. SALMS has a very exciting schedule of events planned for the fall semester. Additional upcoming speakers include Fiery Cushman, Andrew Papachristos, Goutam Jois, Mahzarin Banaji, and Stephen Pinker. 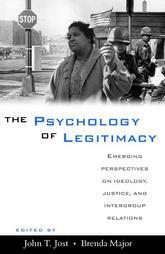 Marth Minow has been a leading legal scholar and teacher for the last several decades and has been on the cutting edge of applying insights from social psychology and social cognition to her important research over the last several years. Today, she was named Dean of Harvard Law School. This is wonderful news for Harvard Law School and the law. From the Harvard Gazette, here is the announcement. Martha Minow, the Jeremiah Smith, Jr., Professor of Law at Harvard Law School, will become the Dean of the Faculty of Law on July 1, President Drew Faust announced today. A member of the Law School faculty since 1981, Minow is a distinguished legal scholar with interests that range from international human rights to equality and inequality, from religion and pluralism to managing mass tort litigation, from family law and education law to the privatization of military, schooling, and other governmental activities. She is also a widely admired teacher who chaired the Law School’s curricular reform efforts of recent years and was recognized with the school’s Sacks-Freund Award for Teaching Excellence in 2005. Minow’s appointment comes in light of the March confirmation of Elena Kagan, the Charles Hamilton Houston Professor of Law, to serve as Solicitor General of the United States after nearly six years in the deanship. Howell Jackson, the James S. Reid, Jr., Professor of Law, has served as the school’s acting dean in recent months. 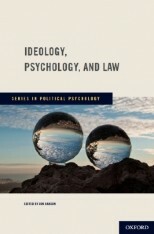 In addition to many articles in legal and other journals, Minow’s publications include the books Partners, Not Rivals: Privatization and the Public Good (2002), Breaking the Cycles of Hatred: Memory, Law, and Repair (2002), Between Vengeance and Forgiveness: Facing History After Genocide and Mass Violence (1998), Not Only for Myself: Identity, Politics, and the Law (1997), and Making All the Difference: Inclusion, Exclusion, and American Law (1990). She is co-editor of casebooks on civil procedure, women and the law, and family law, as well as volumes including Government by Contract: Outsourcing and American Democracy (2009, with Jody Freeman), Just Schools: Pursuing Equality in Societies of Difference (2008, with Richard Shweder and Hazel Rose Markus), Engaging Cultural Differences: The Multicultural Challenge in Liberal Democracies (2002, with Shweder and Markus), and Law Stories: Law, Meaning, and Violence (1996, with Gary Bellow). Minow co-chaired the Law School’s curricular reform committee from 2003 to 2006, an effort that led to significant innovation in the first-year curriculum as well as new programs of study for second- and third-year J.D. students. She has taught courses on a wide range of subjects including civil procedure, constitutional law (with a focus on the First Amendment, the structure of government, and the Fourteenth Amendment), nonprofit organizations, family law, law and education, jurisprudence, and the legal profession. She is a senior fellow of the Harvard Society of Fellows as well as a past member of the Harvard University Press Board of Syndics. 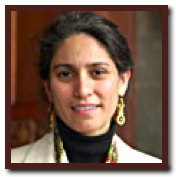 She twice served as acting director of what is now Harvard’s Safra Foundation Center for Ethics (1993-94 and 2000-01), where she remains a member of the governing faculty committee, and she co-chaired Harvard’s Project on Justice, Welfare, and Economics (2001-03), where she also continues to serve on the faculty committee. A member of the Independent International Commission on Kosovo, she played a leading role in the United Nations High Commissioner for Refugees’ “Imagine Coexistence” project, aimed at promoting peaceful coexistence after violent ethnic conflict. In addition, she has codirected a multidisciplinary study of U.S. responses to recent immigrants, as well as a federally sponsored center supporting access to the general curriculum for public-school children with disabilities. She chairs the board of the Charles H. Revson Foundation, and has also served on the boards of the Bazelon Center for Mental Health Law, the Covenant Foundation, Facing History and Ourselves, and the Iranian Human Rights Documentation Center. After completing her undergraduate studies at the University of Michigan, Minow received a master’s degree in education from Harvard and her law degree from Yale. She clerked for Judge David Bazelon of the United States Court of Appeals for the D.C. Circuit and then for Justice Thurgood Marshall of the Supreme Court of the United States. She joined the Harvard Law faculty as an assistant professor in 1981, was promoted to professor in 1986, was named the William Henry Bloomberg Professor of Law in 2003, and became the Jeremiah Smith, Jr., Professor of Law in 2005. She is also a lecturer in Harvard’s Graduate School of Education. The law categorizes different kinds of liquidity — including coin, banknotes, bonds, dollars, and securities — in rich and various ways. The talk will suggest some of the ways that legal doctrine has disciplined our thought, including our assumptions about money and the way it is made, about public and private, and about free choice in the marketplace. In the Encyclopédie in 1758, under the entry “Grains,” Francois Quesnay declared that “It is quite sufficient that the government simply not interfere with industry, suppress the prohibitions and prejudicial constraints on internal commerce and reciprocal external trade, abolish or diminish tolls and transport charges, and extinguish the privileges levied on commerce by the provinces.” Quesnay’s vision of an economic system governed by natural order led to a political theory of “legal despotism” that would stand on its head an earlier understanding of a more seamless relationship between economy and society. By relegating the state to the margins of the market and giving it free rein there and there alone, the idea of natural order facilitated the unrestrained expansion of the penal sphere. It gave birth to our modern form of neoliberal penality. In this presentation, I will trace a genealogy of neoliberal penality and explore the effects it has had in the field of crime and punishment specifically, and in the area of economy and society more generally. Economics is a two-faced, one might almost say schizophrenic, discipline. It claims to be a science, describing the world, telling it like it is without preconception or value judgment. (Never mind that the hey-day of positivism that enshrines the separation between fact and value is long past; economists have always lived in a time warp.) The reality is that descriptive economics has been shaped by a framework of assumptions, a metaphysics more geared to its normative message than to its descriptive pretensions. This framework is essential to the normative side of an economics that trumpets the virtues of markets and is maintained even when it gets in the way of understanding how the economy really works. The 19th century physicist, Lord Kelvin, famously proclaimed the virtue of knowledge imbued with the precision of number. Economics goes physics one better, from epistemology to ontology: anything we can’t measure—like community—simply doesn’t exist. If your model of the world is inhabited by self-interested individuals rationally calculating how to consume ever more, for whom society is the nation-state, community is not going to show up on your radar. It goes without saying that economic hardship, especially the kind caused by unemployment and short hours, will make community more necessary and more visible; people will have to rely on each other more and more as the market fails them. It remains to be seen what impact this dose of reality will have on economics. Mainstream economic theory claims that a competitive market equilibrium delivers optimal levels of consumption and well-being. The reasoning relies on a number of invalid assumptions, including the crucial premise that individuals’ preference structures are independent. If consumption is social, as considerable social science research shows, then the market delivers excessive levels of consumption, too many hours of work, and too much ecological degradation. (This is in addition to the well-known argument that ecological goods are externalities.) In this talk I discuss the implications of what has become a profound market failure, and how we can rectify it. It is a common supposition in modern society that the more choices, the better—that the human ability to manage, and the human desire for, choice is infinite. 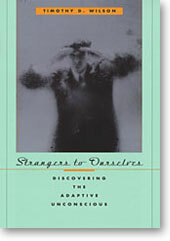 From classic economic theories of free enterprise, to mundane marketing practices that provide customers with entire aisles devoted to potato chips or soft drinks, to highly consequential life decisions in which people contemplate multiple options for medical treatment or investment opportunities for retirement, this belief pervades our institutions, norms, and customs. In this era of abundant choice, there are several dilemmas that people face: How do you choose given the sheer number of domains in which you now have the ability to choose? And in any given domain, what are the ramifications of being confronted with more options than ever before? In this talk, I will describe decisions we need to make that vary in significance from jams at a supermarket to life-or-death situations, looking at how the exercise of choosing and the availability of numerous options affect decision quality and happiness with the decision outcome. Across disciplines we tend to assume that choice is a fundamental or “basic” unit of human behavior, and that behavior is a product of individual choice. In my talk, I will present a series of lab and field studies that question these assumptions about behavior, and suggest that these assumptions reflect primarily the experiences of college-educated, or middle-class, Americans, who tend to have access to a wealth of choices and an array of quality options among which to choose. I will discuss the implications of these assumptions for the (mis)understanding of behavior across diverse contexts. “If you want someone to do something, you have to make it worth their while.” This uncontroversial statement is the watchword of our time. It is the core assumption of economics and of rational choice theory. It is the linchpin of free market ideology. And it explains why the first place we look in matters of public policy—from regulating financial markets to improving the quality of education to reducing the high costs of health care—is to the incentive system that governs the behavior of current practitioners. Uncontroversial. Self-evident. And false. In this talk, I will argue that the reductive appeal to self-interest as the master human motive is a false description of human nature. At the same time, it can become a true description if people live in a world in which incentives are presumed to explain everything and are used to produce the behavior we want. Just as people can become addicted to heroin, they can become addicted to incentives. Looking at modern American society as it is gives us a picture of what people can be, but not of what they must be. By now, the story of modern American environmental law has been redacted into a familiar script, one in which the excesses of our early attempts to regulate the human impact on the environment came to be disciplined by the insights of sound science and economic reasoning, warding off in the process alarmism, inefficiency, and government overreaching. However useful this script may once have been, it now actively impedes efforts to understand and improve our environmental performance. Its logic and conclusions have begun to appear so powerful that we have lost sight of a great deal of practical and moral wisdom that remains alive within our early, “excessive” efforts to conserve natural resources, reduce pollution, save species, and enhance human health and safety. Soon enough, the language of instrumentalism that animates our talk of tradeoffs, efficiency, and welfare maximization will become so dominant that we will lose facility altogether with these alternative and once resonant languages. We will forget that we once talked of environmental rights, rather than of optimal risk tradeoffs; of the grave challenges posed by uncertainty regarding potentially disastrous or irreversible consequences of human action, rather than of risk aversion and the option value of delay; of the stewardship obligations we incur on behalf of future generations, rather than of discounted welfare maximization; and of the responsibility we hold to lead international cooperative endeavors to protect the global biosphere, rather than of competitiveness concerns arising from regulatory differentiation within the world economy. In short, we will forget the richly contoured and sometimes convoluted, but always essential moral and political landscape that lends meaning to those aspects of our environmental laws that appear nonsensical from the perspective of economic theory. According to folk wisdom, “absence makes the heart grow fonder,” and people tend to “want what they cannot have.” Some decades ago, social psychologists identified a related tendency they named “reactance”: the negative response to threats to, or constraints on, perceived freedoms. Although many have identifiied the significant role played by reactance in the marketing of products, few have noticed its equally influential role in the promotion of policies and policy ideologies. I’ll review several kinds of support for that claim and explain how the success of the free market mindset reflects “regulation reactance” (among other situational forces).